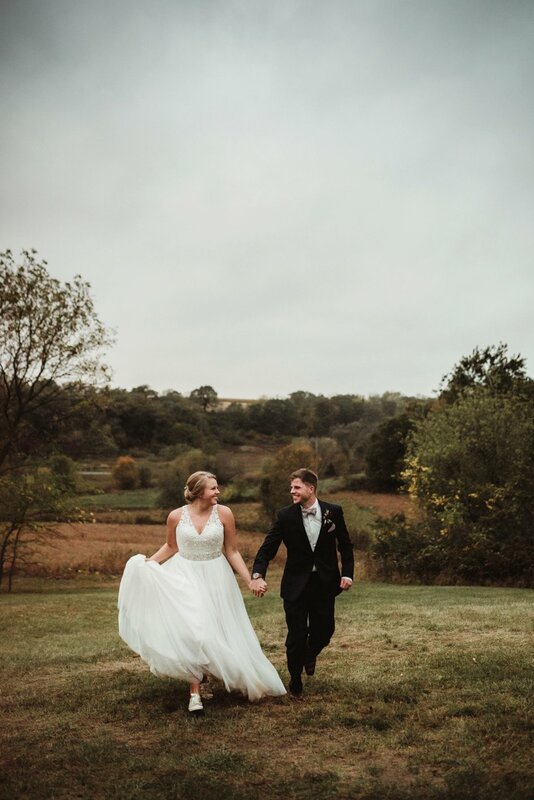 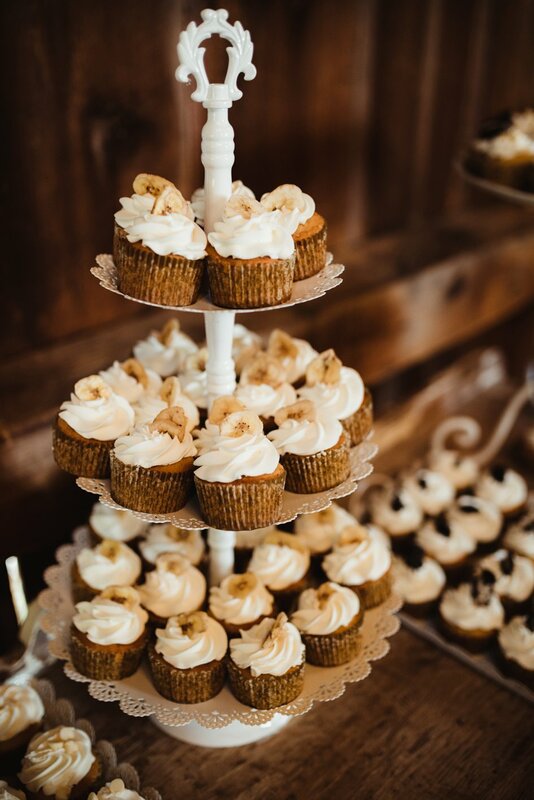 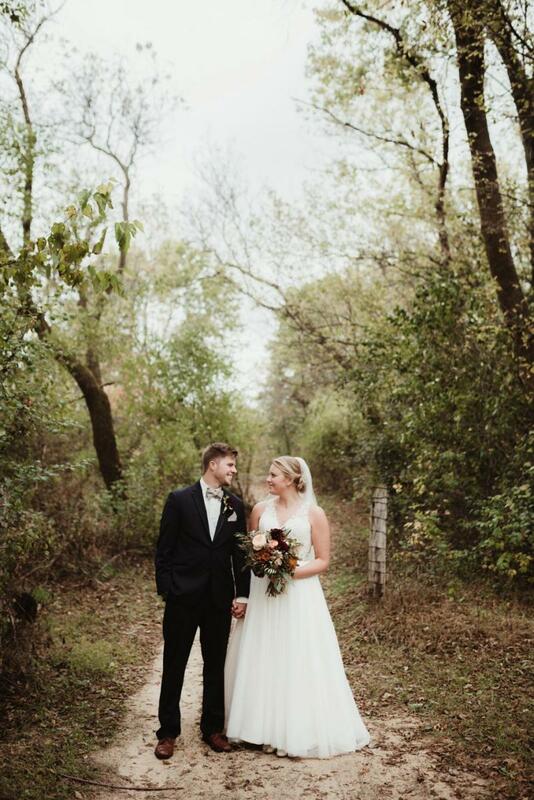 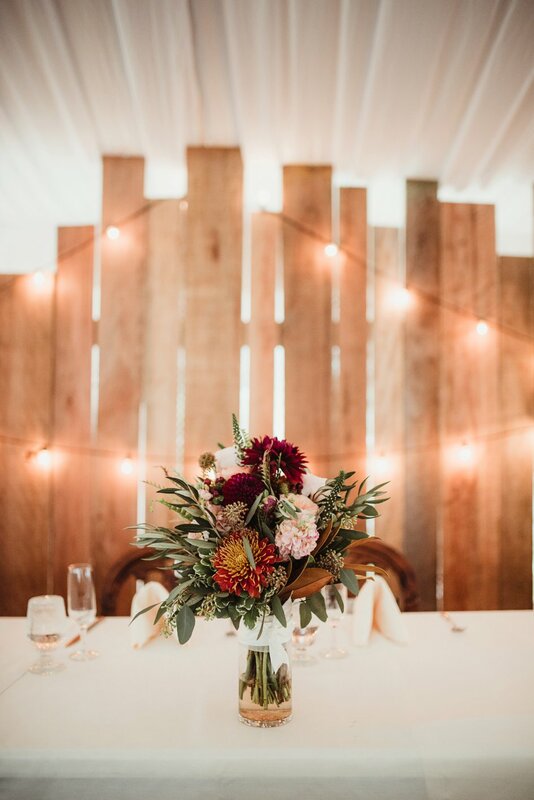 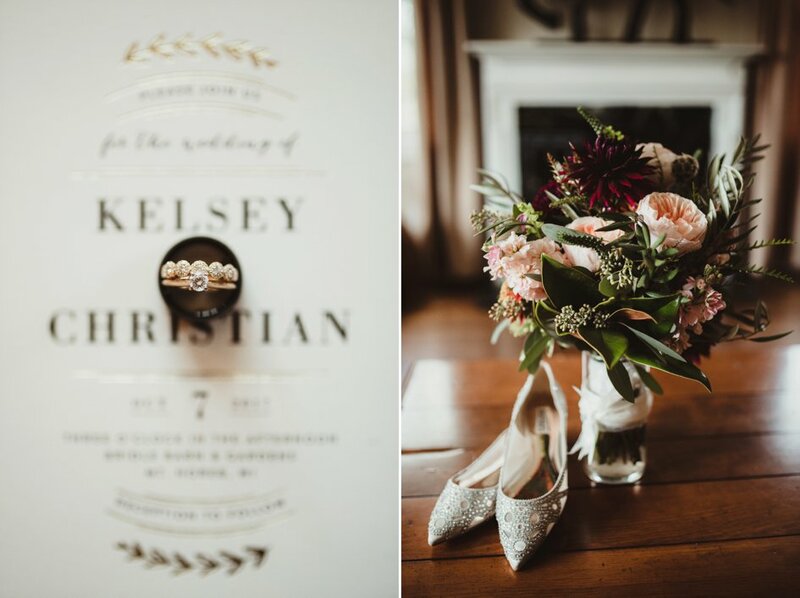 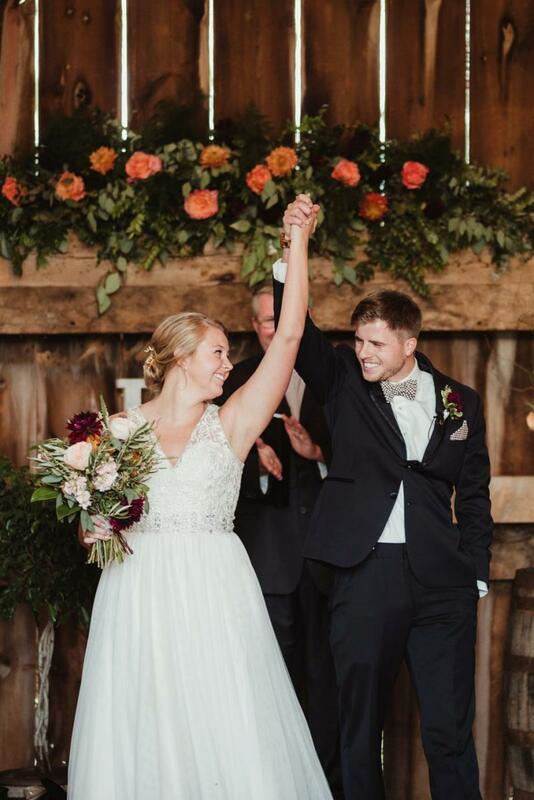 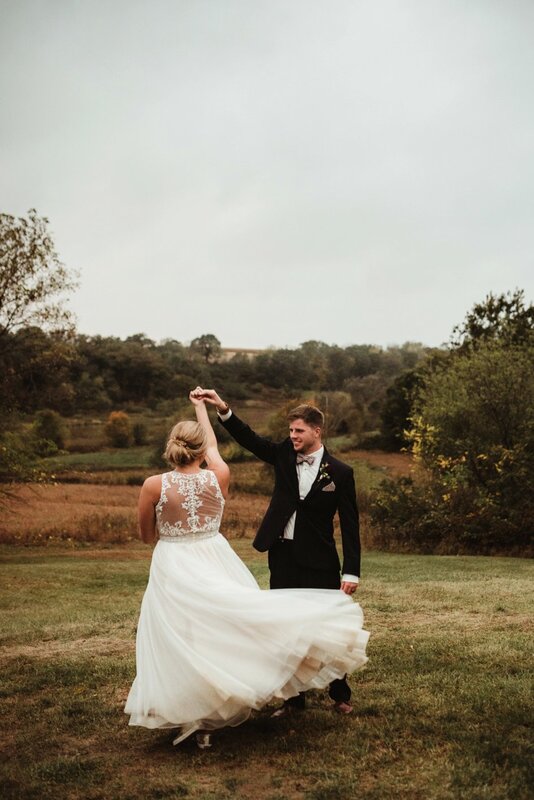 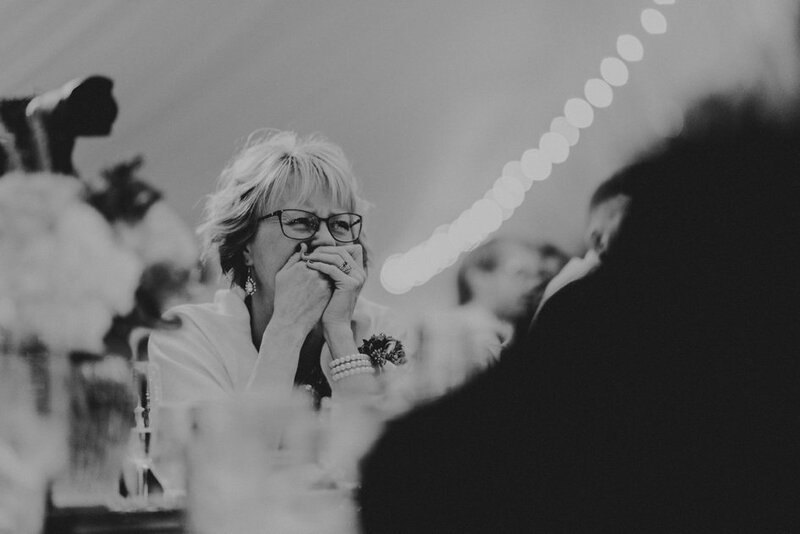 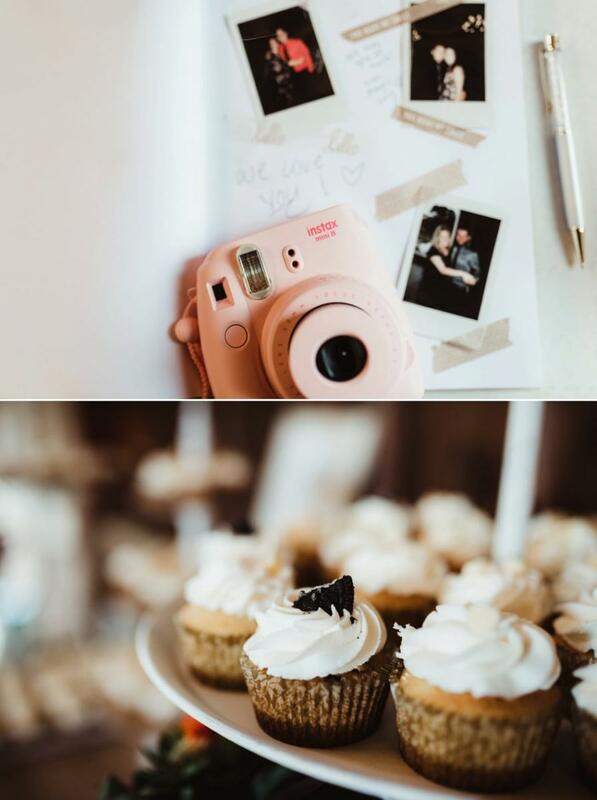 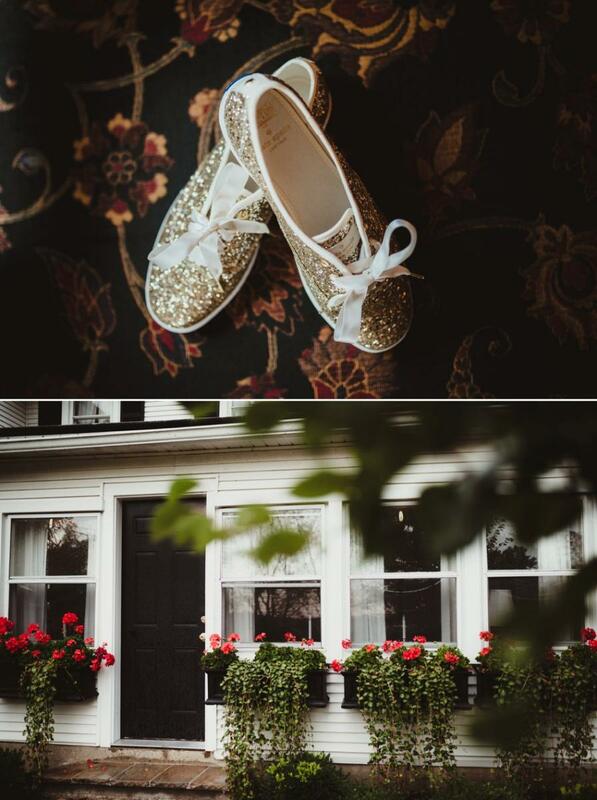 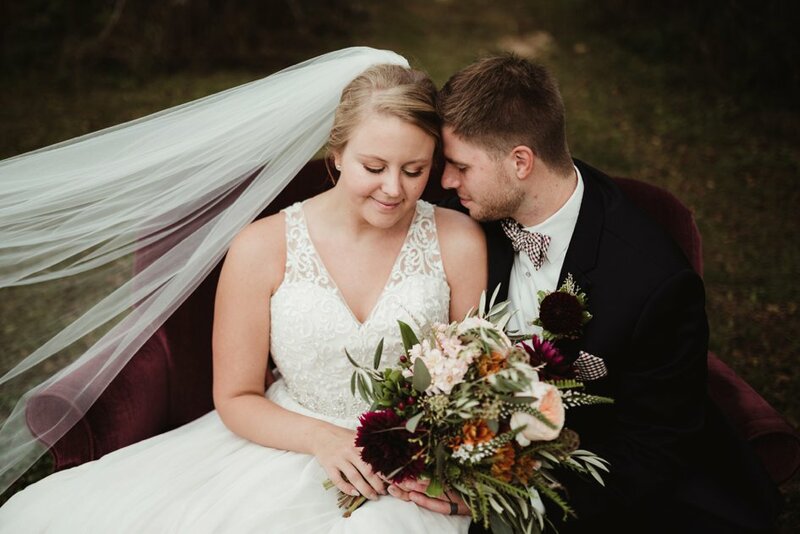 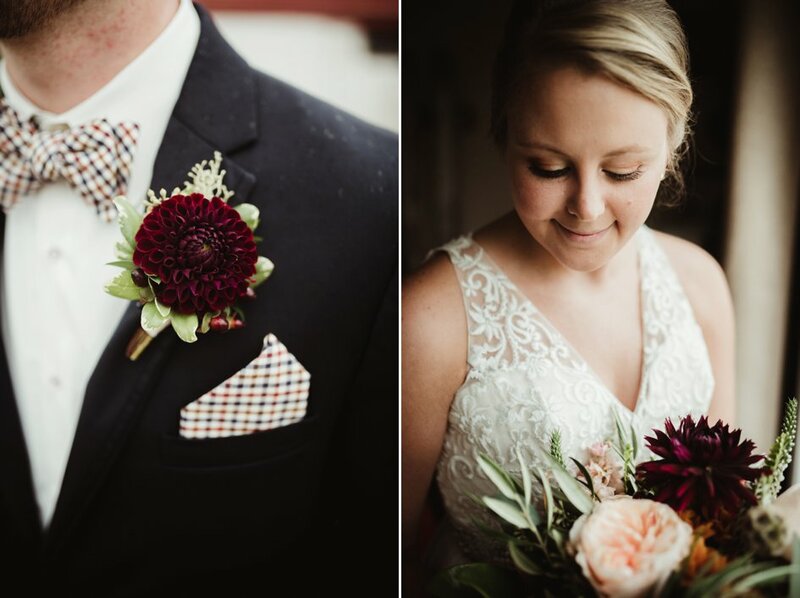 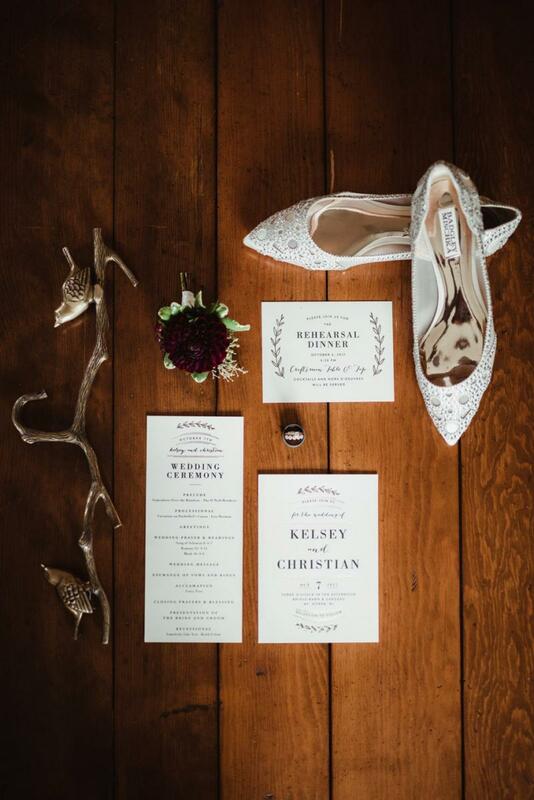 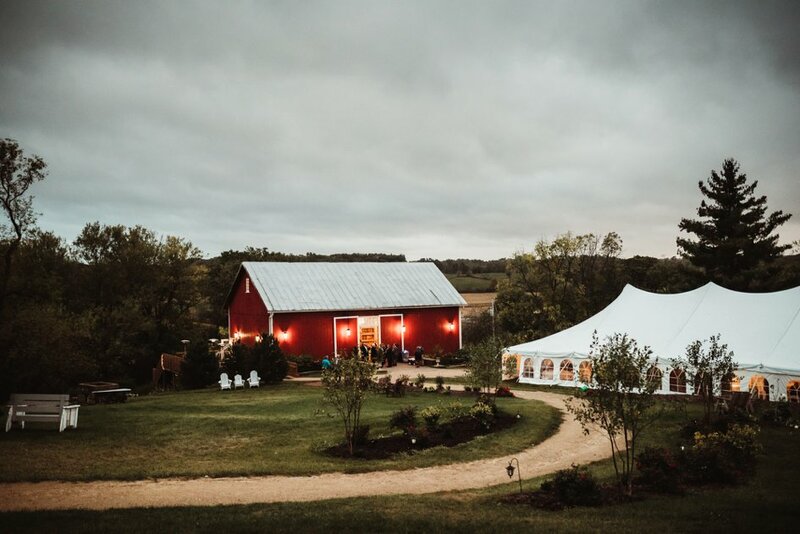 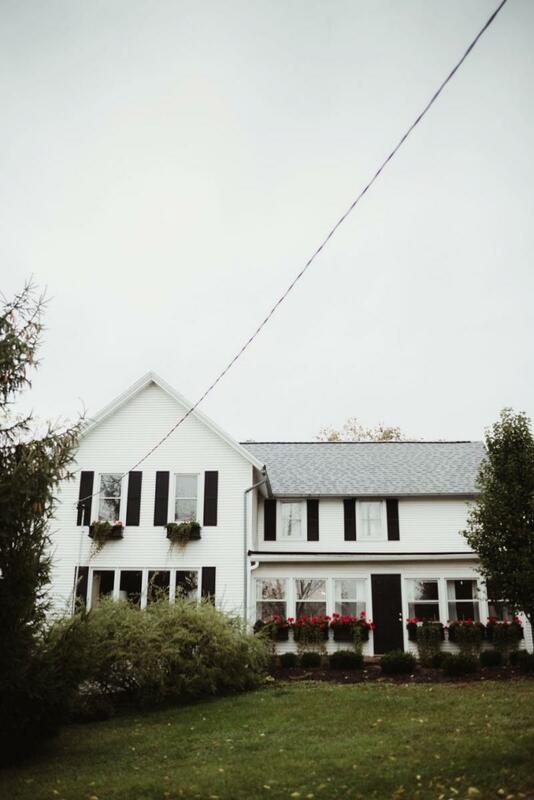 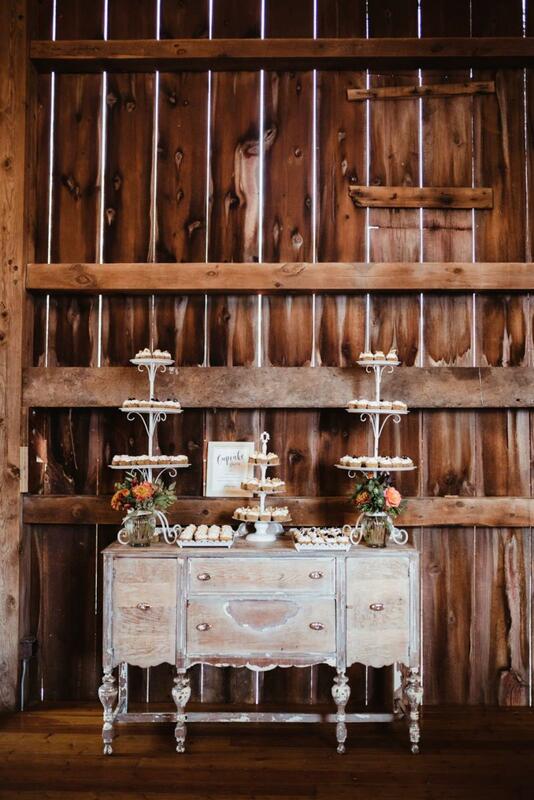 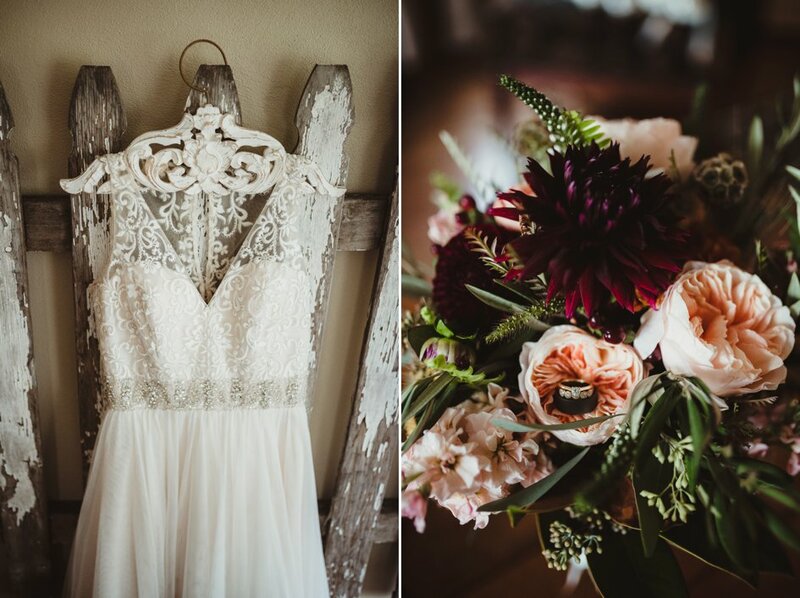 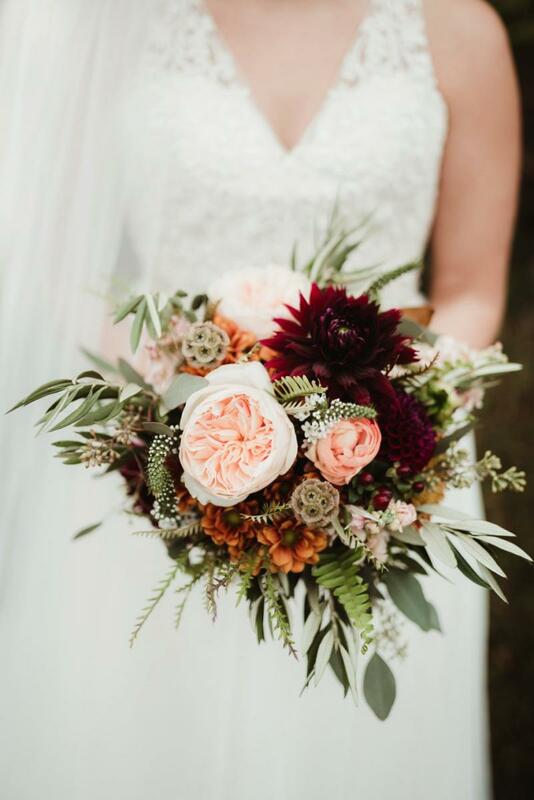 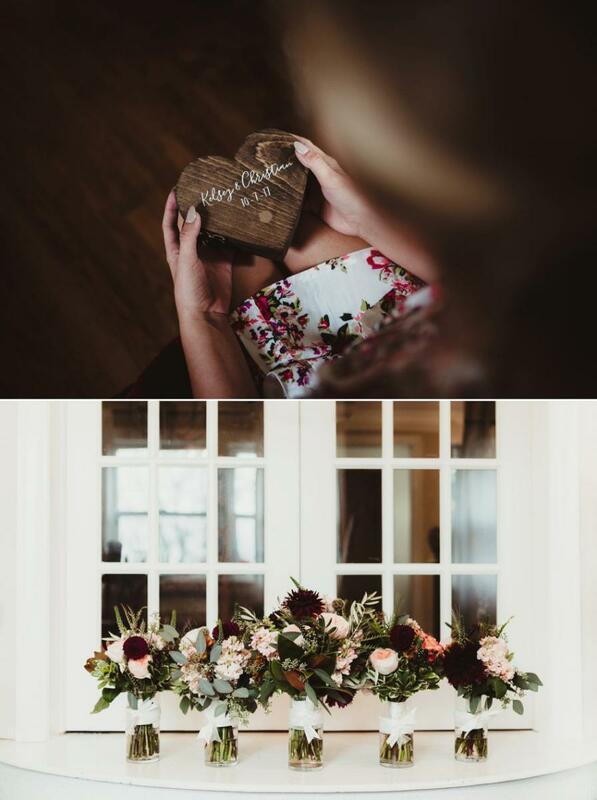 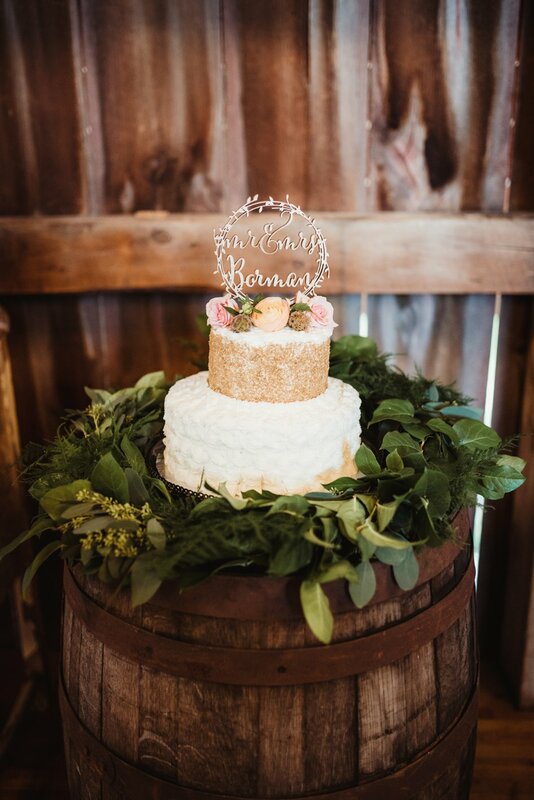 Kelsey and Christian’s wedding was full of vintage pieces that brought rustic charm to The Bridal Barn and Gardens. 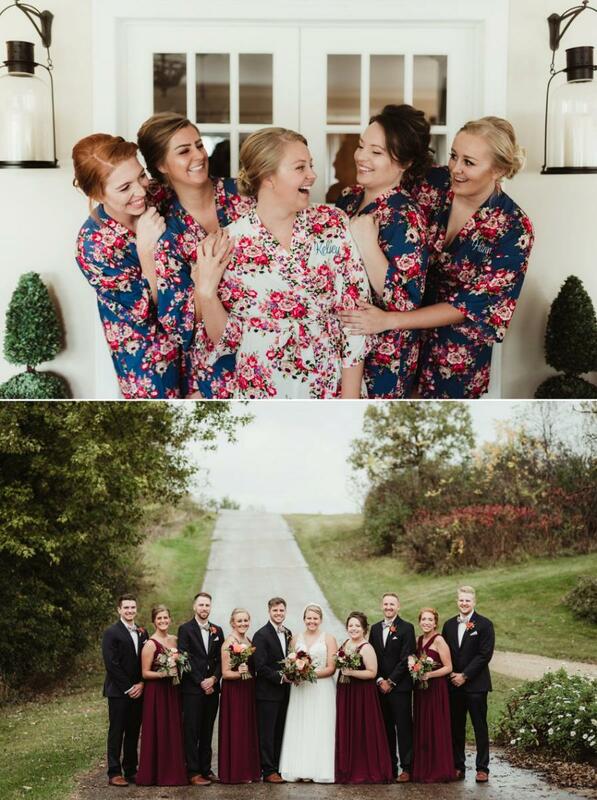 The bride’s color theme featured navy and burnt orange tones with hints of gold throughout. 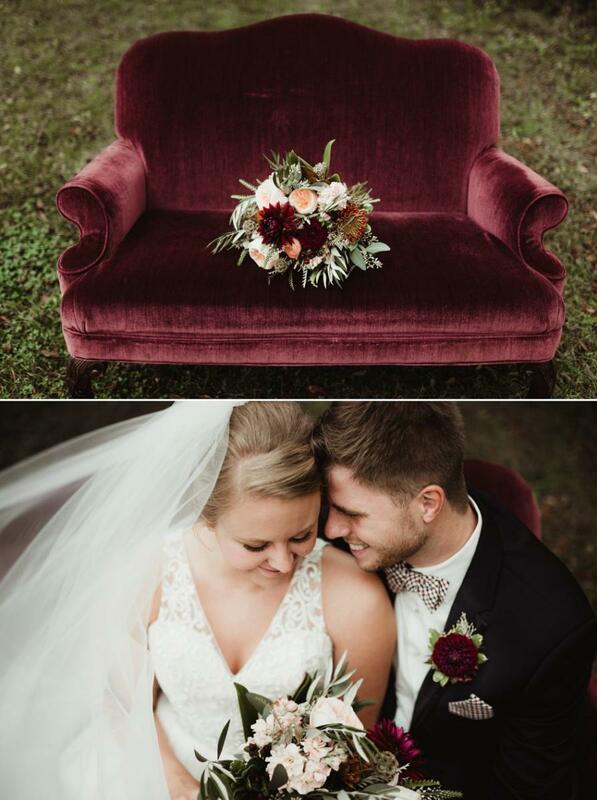 The couple’s attention to detail was evident in the beautiful antique pieces that decorated their space, including a velvet burgundy setee. 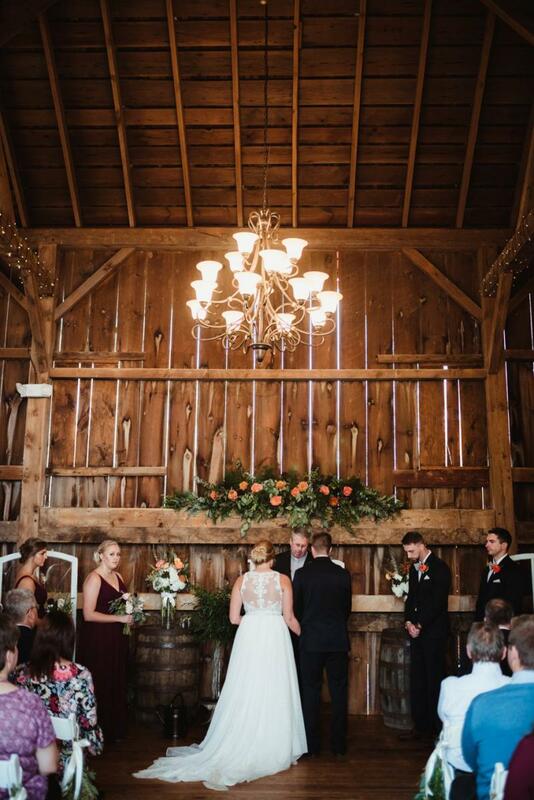 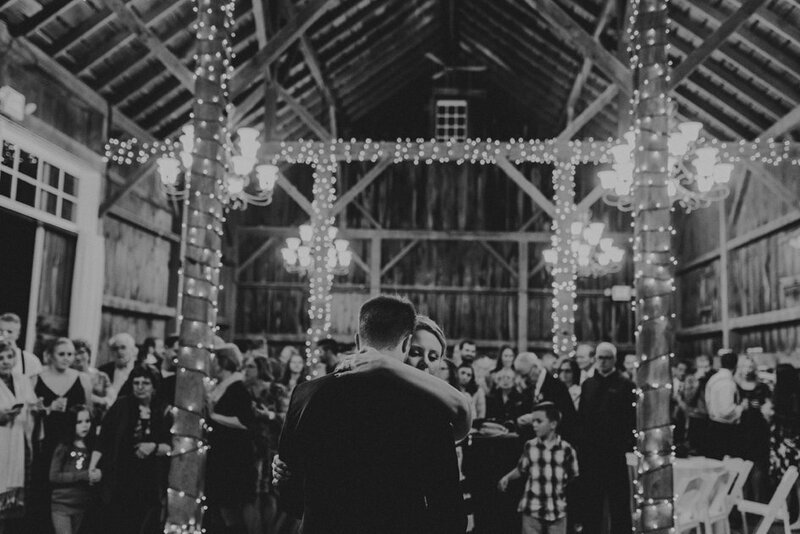 The rainy weather didn’t bother the guests, who stayed warm and dry in the chandelier-lit barn. 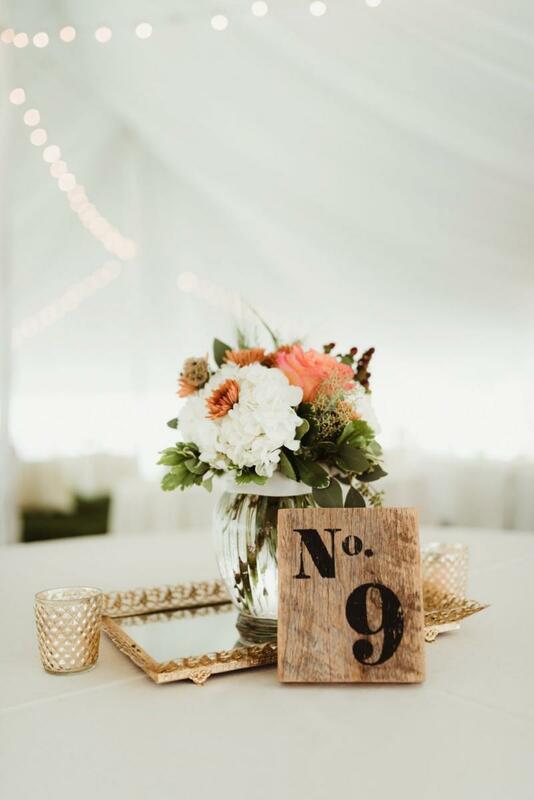 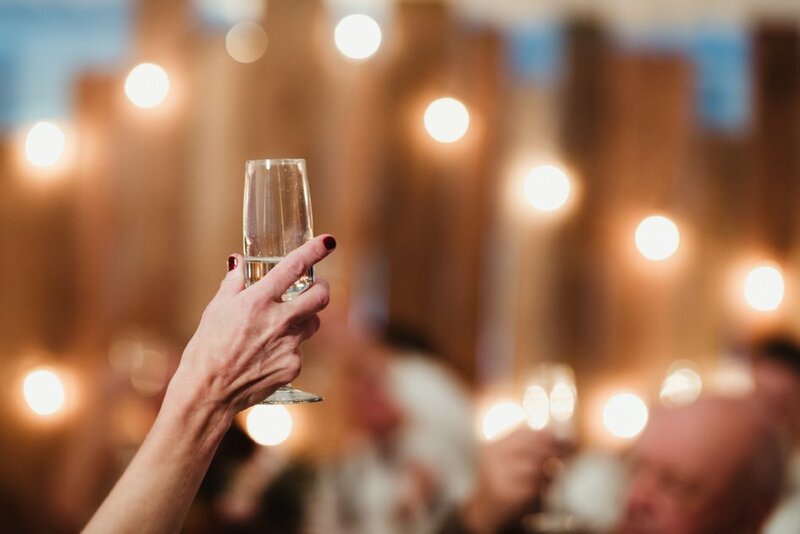 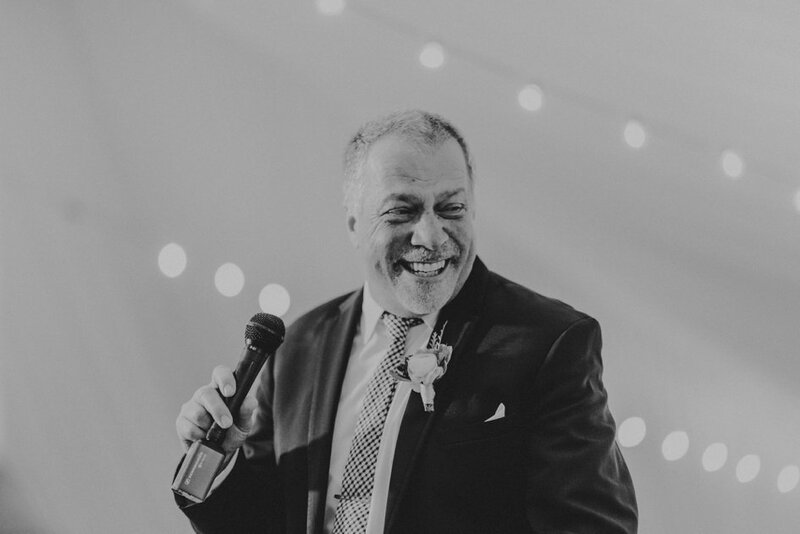 Dangling lights, dark wood beams and clean white linens created a romantic ambiance for an evening of heartfelt toasts and spirited dancing.